Today I have another guest review from P! I was very fortunate to attend an event a while ago where I was introduced to Arbonne cosmetics. 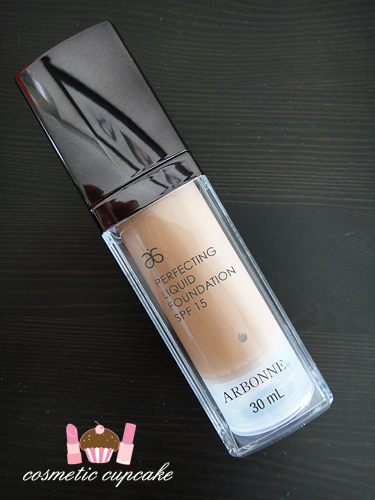 One of the products I got to try out was the Arbonne Perfecting Liquid foundation SPF 15 and I was so super impressed with it just from one swatch. Coverage was absolutely fantastic from a small pump and it covered all manner of redness. The PR company very kindly sent me over a bottle to try out but alas the shade I chose was totally the wrong shade for me which I was very disappointed about. Luckily the shade suited P perfectly so I was able to pass it on to her! 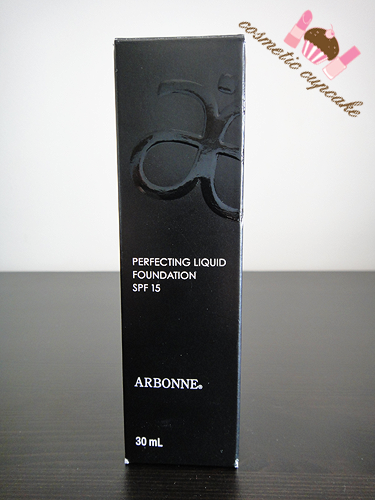 "Arbonne's Perfecting Liquid Foundation SPF 15 is the ultimate in liquid foundation technology with polypeptides, gliding seamlessly onto the skin creating an even smooth tone. The Perfecting Liquid Foundation SPF 15 with light reflecting properties is delivered effortlessly through the airless pump, resulting in a flawless finish, whilst maintaining moisture levels for a smooth and healthy skin tone. The exclusive Optilight Technology helps ensure that the product is non-comodogenic, enhancing breathability and reducing the chance of pore clogging and skin issues." Hello again ladies! I'm slowly making my way through cosmetics that don't suit 'chelle's beautiful porcelain face. These are all the dark shades which seem to be in plenty supply which is lucky for me. I thought the Clinique moisturiser had great coverage, until I tried this one out. The tiniest pump covered one cheek! I was impressed. My skin tones were even, and blemishes gone - all with quick flicks of the fingers. Very light and non greasy. This foundation passed the 1 minute application and removal tests. Although slightly more cleanser was required to remove it all. 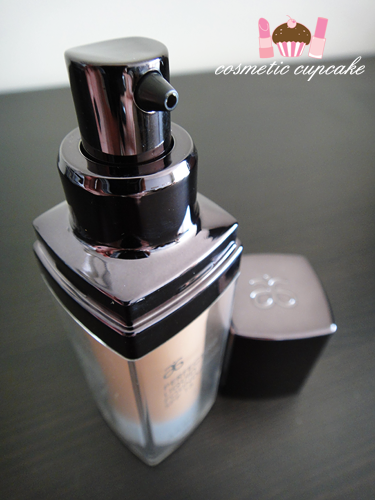 I prefer this foundation for going out at night, when I need a slightly heavier base. This foundation smells great too. Always a plus for me, as I'm sure that if a product stinks, others will smell the stink too. The only thing is the dispenser is a bit too long for my liking and doesn't fit in my bag (basketball shoes and lunch get first priority) so I have to leave this one at home. I would also recommend this to anyone looking for a reliable, long lasting, easy to apply and smooth foundation. I've got to head now - basketball, sweaty nose and sweat moustache all call. Details: Arbonne Perfecting Liquid Foundation SPF 15 is available in 15 shades from Arbonne International online store for $55. 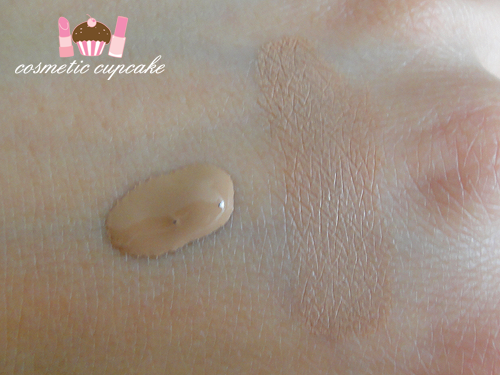 The product featured in this post was provided to me for consideration and I then passed it on to P. As always, reviews on Cosmetic Cupcake are 100% honest opinion. My Disclosure Policy can be viewed here. I absolutely love Arbonne makeup! They are really good quality, and a lot better for your skin! Hi! 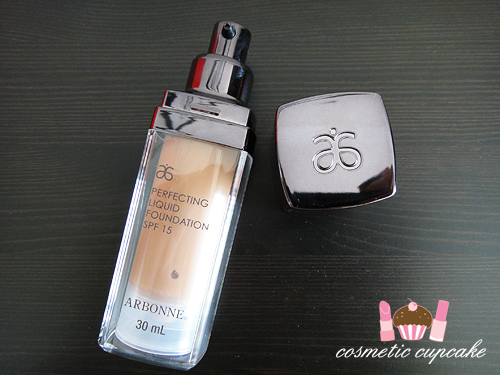 I love Arbonne foundation but unfortunately the shade I bought online was too light for me, I bought "fair". So I was wondering if "rosy beige" would be a better fit. I'm fair and warm toned and in MAC I'm NC20 and I'm "buff" in Revlon Colorstay Foundation.